The 4Humanities collective (4Hum) recently released an infographic called “The Humanities Matter“. (PDF), created by a team led by Melissa Terras and the Digital Humanities group at University College London. 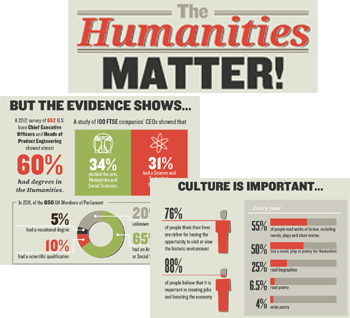 It’s part of a wider Humanities Infographics initiative, for which additional statistics and funding are sought. The items in the infographic were taken from a crowdsourced list. 1) how might we create a related “HumsMatter” graphic series, an open exploration of different viewpoints and rhetorical/graphical approaches? 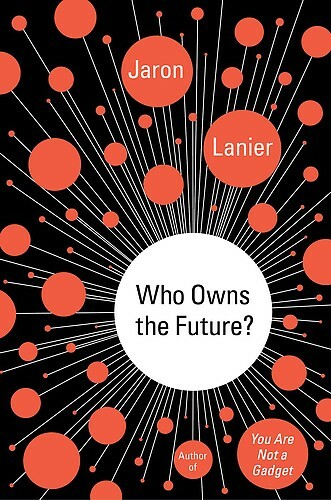 2) how might we think about “business models”/self-sustainability for this or other humanities projects? 3) Appendix: response to specific statements on infographic – how persuasive? Are you reviewing the work, or your friends? 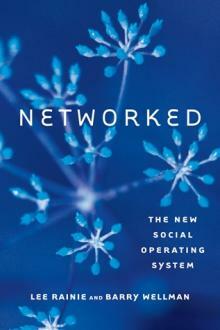 I had an interesting, if heated exchange today with Barry Wellman, Professor of Sociology and director of NetLab at the University of Toronto, and co-author of Networked: The New Social Operating System (with Lee Rainie, Director of the Pew Internet and American Life Project), MIT Press, 2012. I’ve had many exchanges with Wellman on Twitter over the last two years, discussing various points about social media, and I’ve regularly posted links to his papers and book. You can see that history here: https://twitter.com/search/realtime?q=tmccormick%20barrywellman&src=typd.